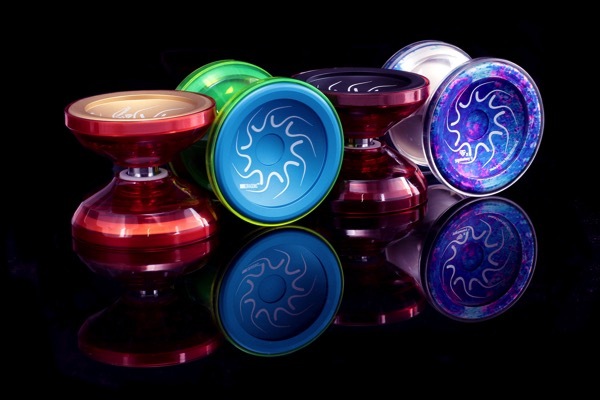 YoYoExpert Blog & Yo-Yo News – The YoYoFactory Nine Dragons is back in new colors! The YoYoFactory Nine Dragons is back in new colors! The NINE Dragons is a collaboration yoyo between YoYoFactory and Kuyos Design / YoYoFormula, and once you throw it you’ll never think about modern yo-yoing the same. This yo-yo features a free spinning body, made possible through an innovative triple bearing design, that allows you to literally hold the yo-yo body while it’s spinning. The free spinning machined POM body opens up an entire new world of grabs, grinds, and probably someone style of tricks we don’t even know about yet. Looking past the free spinning body, the NINE Dragons is an excellent playing yo-yo in itself. It has a powerful spin, excellent stability, and a finger spin friendly cup.